They warned me kindergarten was different. It wasn’t the imaginative play, hours of playground time, and alphabet learning that I remembered. My 6-year-old, Aiden didn’t have my experience to compare to his, but he knew one important fact. I’m just a kid, he would tell me when the school days began to drag. Today is his last day of kindergarten, and overall it’s been a good year of learning, meeting new friends, and gaining confidence. Yet, I wonder if we are pushing our kids to grow up too fast. I didn’t learn how to read in kindergarten, and I turned out OK. Why this push? Throughout the year, Aiden and I would talk about school. Everyday he asked me, Why do I have to attend school for six hours? Are you tired? I asked him. No, I just don’t like being quiet so long, and I want to play, he would respond. That’s understandable I thought. Six hours is a long day of being quiet and sitting still. I decided to ask him more questions to understand his thoughts about kindergarten. Me: Do You like kindergarten? Me: What would make you like it a lot? A: 5 worksheets a day (compared to 10), an hour for recess (compared to 30 minutes), and 30 minutes for lunch (compared to 25 minutes). I was actually impressed with Aiden’s answers, but remembered that his answers came from a child that is excelling in school. What if your child is struggling? I was a child that struggled with school work; it took hard work and determination to catch up with the smart kids. I can’t even imagine the stress of learning sight words, counting to 100 and daily journal writing in kindergarten. I’m scared that we are burning out our kids before they even really begin their school years. I hope our school boards and government take Aiden’s advice and realize that less work can equal a more meaningful first time school experience. Aiden showed me that kindergarten is different from what I experienced, but he taught me that even though he is just a kid he has valuable input to make it better. 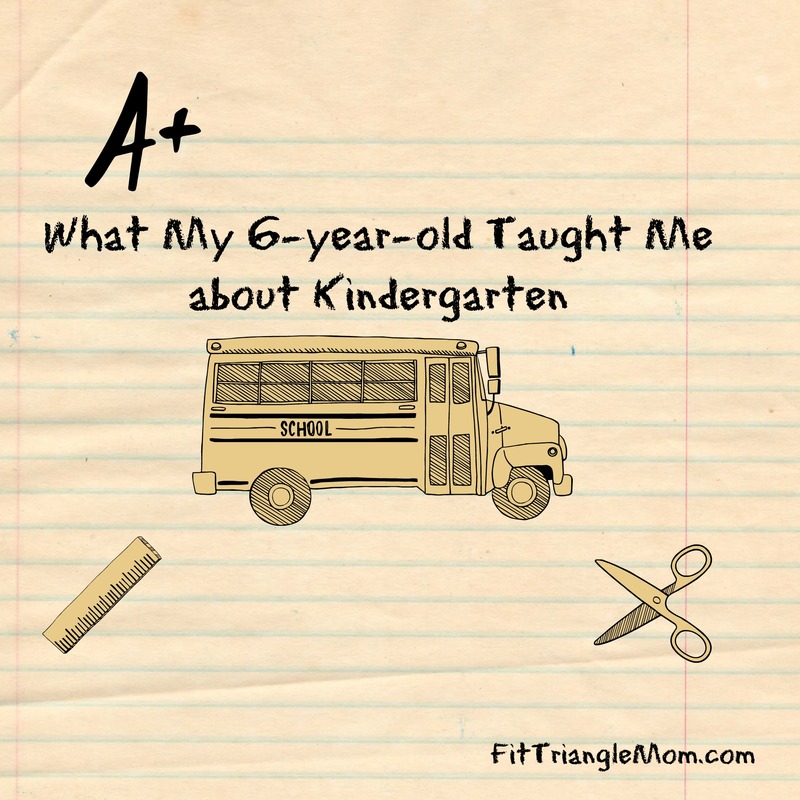 What are your thoughts on kindergarten? What concerns does your child have? Through a weird quirk of birth dates, my 6 year old is going to second grade. (He is the youngest kid in the class.) But his kindergarten was very play based, which I really appreciated. My son has a late birthday, so he’s the oldest in the class. I like the play based kindergarten approach. What an insightful little guy. He has some very concrete ideas on how to make things better. We just finished up kindergarten with my youngest. She was in an accelerated class so by mid-year she was already doing first grade work. She didn’t complain about the school work so much. But homework was a different story. My little guy is all about recess and playing soccer. Homework was tough too. They worked all day, and then they had to work some more. It’s a little much for kindergarten. Our kids are pretty intuitive in knowing what they need… if only we would listen to their intellect sometimes. Kids understand more than we give them credit for. So cute, wish they had more play time too. School in general is harder than what I remember at the same ages. More is expected of them at an earlier age, glad Aiden is keeping up well and enjoying school. Thanks for sharing with Small Victories Sunday Linkup. Pinning to our linkup board and hope you found some great posts to visit this week! Tanya @ Mom’s Small Victories recently posted…Very Good Lives by J.K. Rowling – a perfect graduation gift! I’m all for play-based learning for kindergarten, but I love watching him beam with pride when he reads his younger brother a book. My youngest son’s name is Aiden, too, and he starts kindergarten this coming school year. I know he is going to love it! He loves socializing with other kids,and I can’t wait to hear what he has to say about it! I just love the name Aiden. I bet your son will love school and meeting new friends.